Lucky #13! It’s been a couple of weeks since I shared a what’s going on in my writing life, and that’s because I’ve been buried in the writing life. Isn’t that the best reason? This week I wrapped up my edits on my third novel, Left To Chance, and sent them off to my editor. I’m thrilled with the way the story and characters have evolved, the subtle changes that made a big difference and the big changes that kicked the story up a notch. 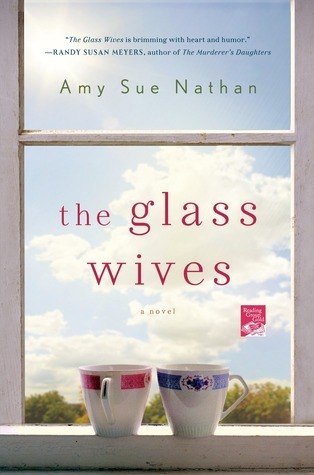 My main character’s name is Teddi Lerner—and I like Teddi more than I’ve liked Evie Glass from The Glass Wives or Izzy Lane from The Good Neighbor. It doesn’t even feel like I’m being disloyal, or choosing a favorite child. Maybe this happens with every novel, I don’t know. I do know that Left To Chance has been the most fun and challenging book so far. And strangely, it was the most personal. I didn’t expect that at all. I slipped into Teddi’s shoes more completely than I’d thought possible. I am excited to be able to share it with you in the coming months! I approached the edits in layers, tackling each issue somewhat separately, or something big and small together, as I worked my way through the entire manuscript. Then I went back to page one again to address something new. With each pass through the pages, I was able to make sure that the dominoes fell the way they should, that each character and plot point was in sync. During on of my last passes (I lost count at #4) I had an idea for the ending. I always knew how the book was going to end, but the details changed, the words weren’t quite right. I then reworked the ending for days (just ask my friend who read every version) without writing or editing anything else. I’ve realized through the years that I have to remain flexible when writing and editing. Just because I wasn’t at the end of the book didn’t mean I shouldn’t jump there, stop everything else, and rewrite the ending. And when I say the ending I mean the final scene. I rewrote that puppy completely, and then in part, at least a dozen times. It wasn’t an awful ending before now, I mean, I had submitted the book to my editor in March. I wouldn’t have done so with an ending I hated, but it didn’t seem like an ending I’d write. Not until now. But, even after two novels, the trepidation never ends! I hovered my finger over the send button and counted to ten about twenty times before I actually sent it off! Should I read it one more time? Tweak another paragraph? Delete another word? Read it backwards? Out of order? Upside down? NO! The truth is, there is time for more changes. I could have another round of edits coming, although I wouldn’t expect anything major at this point. After final major edits, come copy edits, where a different editor goes through the book with a magnifying glass looking for errant commas, misused words, inconsistencies, and research issues. That’s really the last time an author can make changes — because some times we catch things on our own too. After that we get down to the nitty gritty with page proofs, printed pages that look like your book, so you can make sure all the copy edits have been made, and you have a final chance to catch a dropped word or printing error. Yes, things slip by. All books have an error or two, but hopefully nothing that impacts the story. One of the best things about sending off the manuscript to my editor is TAKING A BREAK FROM THE STORY. I’m still loving Left To Chance, but nothing improves a story more (for me) than time away from it. Can’t wait to share whatever’s next! Which I hope is news that we’re close to sending Left To Chance into production! So what happens when there’s a break, a gap, time off from one novel? There’s a little bit of celebrating of course — it’s important to acknowledge every step along the way. I’ll be celebrating on Monday with my friend, author Pamela Toler, who has her own celebrations (books, agent, life, oh my!). I’m also excited to spend time now on Book #4. You know what I’m talking about. Boop. And Hannah. And their adventures and story that take place in South Haven, Michigan. I’ve been to South Haven twice so far, and interviewed an amazing 84-year-old woman who grew up there and lived the life I sort of had already imagined for Boop! More about that as the process moves along, but needless to say I can’t wait to go back and spend another day with her on the beach (any day except Thursday. Thursday is her golf day. ‘Natch.). Here’s a look at a bit of South Haven on a sunny day! How is the summer treating your writing life? Is it slower or faster? Does your life experience a schedule shift? Are you outside not inside? (I’m indoorsy, folks.) How does that impact what you do with your work? Have some great interviews and guest posts scheduled for August, and even more as we head into September and October. So, my summer is actually busy with both marketing and writing. Congrats, Kathy! It’s hard to juggle more than one book, isn’t it? I’ll be working on the next steps with book 3 while writing book 4, which is the good kind of crazy I’ve always wanted! Good luck with your latest round of edits and revisions! I hear you, Nancy. Sometimes we slow down. Sometimes our stories slow down. Have you given yourself permission to walk away for a bit? I often come back rejuvenated after a break. Good luck! Yes, for several weeks, but felt guilty most of the time. 🙂 But coming back is a great lens-changer! Amy, I’m so happy to hear that you’ve finished with your edits. I’m finding my writing life to be pretty fractured with summer schedules–family coming & going, work not always fitting into the time I give it, a novel that starts and stops and sputters along. Congratulations on what I’m sure will be another wonderful novel! I feel like I found your shoes on my back porch and stepped into them. Yep, edit number who know’s what. And this near final one is with Word’s text-to-speech. Having a computer read your work is very helpful if you typed “at at” the computer says “at at” not “at” like your brain would. I am sooooo looking forward to my little celebration on my calendar for 7/31. Giving myself a deadline is the only way I’ll stop. Amy…Really good to hear from you. Had missed new posts during the past two weeks but assumed you were knee deep in the process and it appears you definitely were. In the summer, I find my process slows down. Although my only child is grown and on his own, it still seems like summer is when there are a lot of things (practical, real world things) that have to be done while the weather permits. I have been slogging through the first level of revision on my WIP. I was doing a lot of eye rolling and gagging (almost) as I read those earliest chapters…and a lot of red penning for changes. But as I have gotten to the later chapters, have found myself saying ‘this stuff ain’t half bad’. LOL Guess it is good that I can see improvement as I worked my way through the story. Can’t wait to read Left to Chance…and of course, am waiting for more tidbits about Hannah and Boop. Good luck with your revisions. Sounds like you have a good handle on it!